Join Team On Track for our second annual Women's Fitness Summit! 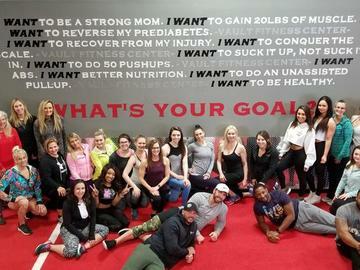 The goal of this event is to bring together passionate and determined women who wish to push themselves and gain new experiences in the fitness world. We have an amazing agenda forming to make your experience sparkle: meditation, yoga, workouts, posing, speakers, good food, conversation and best of all community! Be sure to RSVP to the Facebook event for updates! We can't wait to meet you and spend the weekend getting to know you! 8 - 8:30 am: Late check-in's, get your shaker with IDLife protein, pre & post workout, mingle with vendors and fellow participants - get your mat spot in the studio, (bring your own mat)! Special Event rates at Courtyard by Marriott Eden Prairie, ask for the Women's Fitness Summit Rate!